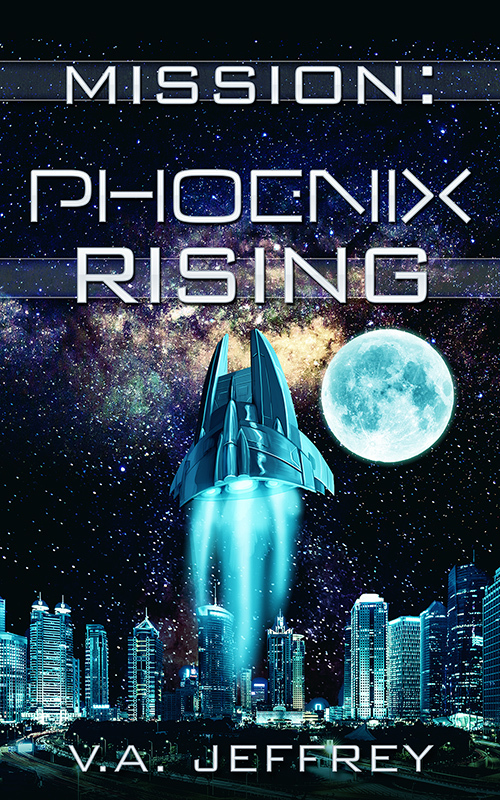 Finally, I have finished the first drat of Phoenix Rising. For some reason the first draft of this story was the hardest I've ever written in my life. But now that it's finished I'm getting more excited about writing. Now that I'm on vacation, I can make a lot of headway on the story and that I am, indeed. In fact, I have enough polished enough to post a sample chapter. Here is chapter one. enjoy! “Well, not in the classical sense, Bob. Most mutations are usually destructive to DNA. Rarely is there ever an advantage to the cell when it comes to mutations. I’m not seeing destructive changes, or at least they haven’t turned out to be destructive, yet. What I’m seeing are unusual modifications. Mutations that so far have been neutral or benign if not beneficial. Another interesting thing. While it is not unusual for genes to jump from one organism to another, it does happen, it usually ends up bad for the new host organism. In this case, that would be you,” said Dr. Lehman. He helped me back onto the hospital bed. “How’s your am doing? Any pain, infections? Any issues at all with the medications you take for it?” I shook my head. “Really?” He nodded. I wasn’t surprised by this at all. Rather, quite delighted. “So, what do you mean about. . .jumping genes?” It was a subject that I’d dreaded ever since my experience at Hussa but now that I was getting a full examination at Pam’s behest, it was silly to continue avoiding the subject. Especially now that she was pregnant. “Well, odd dreams and a seventh sense sort of runs in the family,” I said. Dr. Lehman gave me a patient smile. He and a nurse prepared the MRI again, ready to take one more brain scan as I wasn’t completely still the first time they’d performed it. I wondered if this cycle of changes in my body simply wasn’t through and now I had an unborn child to worry about. How this might affect that new life. “One thing you must remember Bob is that there are many unknowns when dealing with a situation like this.” I was sure that was his explanatory way of saying no. I was used to his explanations for everything. I found them enlightening. But also voluminous. “That would be a good idea. Just to be safe.” Dr, Lehman could be right. But for some reason I didn’t think the experiments on Hussa had anything to do with the loyalists. I could be wrong but I didn’t think I was. That seemed to me to be an entirely different plan born from a different faction for perhaps a similar purpose but not entirely the same. The fiorjah queen had not indicated in any way that she was in alignment with the loyalists, whom she viewed as lesser beings, only a step above humans. And she was now defeated and secluded somewhere here in Ellen Vartan’s secret science laboratory, her essence and DNA being readied as a biological weapon against the other aliens. But it didn’t mean that it posed no danger to me. Repercussions from so many past experiences seemed to haunt me now, ready to jump out at me like a predator from the shadows. But this type of worried, negative thinking did me no good. What was done was done and I had to move forward. This “chin up” talk still didn’t make me feel better. I had no work experience with biological machines and their functions (other than my own) but I did work with computers. With computers, mechanical machines, and software, if a foreign agent like a virus, entered it could wreak direct havoc or make indirect attacks that were difficult to detect. Some viruses could be so subtle and sophisticated in their attacks that no trace could be detected until it had worked its way deep into the code. The same held true for viruses in biological organisms. I had such a thing in my body. But so far, it had not had the deleterious effects that I had expected. The doctor smiled at me as if to give me aid and comfort. The nurse working with him dutifully hooked me up to a few more diodes. “Nature has a way of correcting all wrongs, in time, Bob,” said the doctor gently. I must have looked worried. “If these changes were truly dangerous it’s likely that we would have detected them already, considering this happened to you years ago. You should be dead. You’re still alive and kicking and healthy.” I nodded and closed my eyes as I submitted to the scan. This was something to be thankful for. After the bewildering battery of tests over the last three weeks I was in a high state of anxiety. My life was in a massive state of flux. Dr. Lehman had ordered a special and very expensive experimental drug to kill these alien cells after sending cell samples, by teleportation, or what was known on Dappa as TRANS-port, a technology in the making for over a century that had come into being recently on the black market, and a brand new way to send things that was illegal (as of now), especially when it came to biological organisms traveling in such a way, to another lab for further study. I’d heard horrific stories of poor souls sending their pets or them selves from one place to another thinking they would save on money and convenience and were never heard from again. Or worse, they came out of the device very different than when they came in. No one knew if TRANSport destroyed the original and created a clone or if people disappeared in TRANSport into the universal aether. Speaking of that, no one knew if this newly created drug which wasn’t even on the market would work, or how it would work, or the effect submitting it through this new transportation technology would be. After the brain scan I was sent back to the private bedroom at the Vartan laboratory where I tried to get some more rest. I couldn’t. I looked over at my large datapad I’d brought to get some work done. My U-net team and I were monitoring the storm systems on Jupiter which had become more active in the last year. I had Chip, Will and several others watching for any anomalies in climate or sentient activity on the planet. The activity was heightened but not in any way that seemed to alarm anyone else but me. So far, nothing new was happening according to the different weather scanning programs I was monitoring. No messages from anyone on the team either. I felt frustrated and a terrible sense of foreboding made me feel restless, as if I were wasting time in this hospital room. I closed the screen out and laid back and closed my eyes, breathing slowly and deeply to calm my nerves. Two hours later Dr. Lehman came in with my medication. “I know. We’ll be done in a couple of days. Remember, what happened to you may be of great import not only to you but to us as well. We want to make sure you really are fine and that those experiments won’t pose a danger, or if what happened may heighten your abilities and turn you into a super man.” I made a face. “Look, I’m not interested in transforming into a patch of light. Or becoming Superman. I’m fine in my current meat bag, thank you very much,” I groused. Dr Lehman chuckled. “Hence, that’s what this drug is for. It comes in aerosol form. Just sent by TRANSport. And you’ll need this syringe to administer the drug.” Reluctantly I sat up from the bed and looked it over. “Thanks,” I grumbled. Just what I needed. Another drug. “Hmm. Interesting.” He scratched his chin. I was finally having that medical examination that I should have had years ago after coming back from my adventure on Langrenus, which I was scheduled to visit again for an important meeting in a couple of weeks. I’d been here for nearly two weeks as they conducted a battery of tests and took various samples from me, reminiscent of the tests I underwent under Dr. Donatien Lafayette’s cruelty. Okay, maybe that was an exaggeration. But it did nothing to make me feel calm. I shuddered to even think his name. However, these tests weren’t barbaric or painful and the lab here had a soothing atmosphere. I had blood tests done, skin grafts, body fluid tests, cholesterol and bone density tests, brain scans, whole body scans, all manner of tests. “Here’s the thing. Your DNA has changed in ways subtle and miraculous. I don’t know if this work they did was by accident or design,” he said. I was quite sure it was by accident. That lab at Hussa was a butcher’s market more than a true science laboratory. Later that night I continued to monitor the storms and the activity of the planet from various weather feeds. My eyes were growing heavy and I felt myself falling and caught myself, nearly falling off the bed, when I heard a buzz and then a sharp snap from the pad splayed across my lap. Several of the feeds had suddenly gone dead, and then five seconds later all of the weather feeds died. I checked the web connection and did a simple check and repair of the network. There were no connection problems or firewalls causing a blockage or a bad connection. I went through a more involved series of diagnostics to see where I could find the issue. None. I scratched my head and then suspicion immediately took hold. I shut the system down and then turned it back on to see if a reset would solve the problem. But the weather channels remained offline despite this. I decided to see if any other program on the system was having issues by sending a message to someone I needed to talk to on Mars. I sent a message to her asking about how things looked on the ground currently, the conflicts and current mood in Syzygy and if she could monitor and send back information on any activity near the Jovian system and its storms, any new information that U-net could use to formulate our plan of attack. I asked after Tulos and Rychik. I wondered about them, about ow they were doing. Were they alive, even? After sending it off I sat back and watched for any bounce-back or error retrieval or sending errors – anything! It would be awhile before she could get back to me. If she was even alive. I wished I could send a message to Sworda but he was even more elusive and difficult to contact unless I was actually on Mars. I sighed, feeling thwarted, and got up and gazed out of the window to western part of the research complex. I could see human and mech laborers outside in the open-air working on the Phoenix, my little shuttle that Ellen was turning into a bonafide ship. Welders, cutters, software engineers, mechanical engineers all putting it back together after having taken it down completely months ago. It was something I loved watching, even at work, when I was last at work. I can’t remember thee days. I was proud of the Phoenix. Though it didn’t look impressive it was being given some impressive technology. It was being outfitted with new hardware, it had a new, a new chronometer, updated computer system in the cockpit, the main cabin had been slightly enlarged and it had been outfitted with faster more powerful weapons and a more powerful shield system. That shield system was an updated cloaking technology that all the most powerful and well-connected pirates and smugglers used, thanks to Diamond’s contacts and know-how. I had to smile. It was wrong, but it was what it was. It made me feel secure knowing that I could run with the best of them on the wrong side of the law. But that wasn’t the most important part of the Phoenix’s renovations. That was the bleeding edge weapons technology that Ellen and her secret team of scientists had been building out of alien biological tissue and combining with some type of special ferrous-electrical metal. Or that was the gist of it. I just hope when it came time to use it that I didn’t end up blowing myself up. And thinking of that made me think of the battle plans I was forming with my U-net team on St. Anthony. We had some good information but we needed more. Always we needed more to make sure we weren’t going to end up hurtling our small army into a black box. I glanced up at the silver sliver of moon outside. The night sky was clear as glass and it was warm, the start of summer. I went back to bed, dozing off to sleep again when my comlink device chimed. It wasn’t a call, however. It indicating that there was a written mail message. I must have slept for at least three hours as it was now two o’clock in the morning. I picked up my datapad and opened the message software to find it was, indeed, from Genevieve. How she got my message so quickly surprised me. And the situation was dire. I read it with keen interest and growing concern: Rychik, who, according to Diamond had joined a mercenary company since I’d last seen him had not been able to get to the base to assist Genevieve in weeks, trapped at an outpost with a battalion of sentinels and his small company of mercenaries in a fierce battle with a gang of vicious scavengers. Whether they were loyalists or not, she didn’t know. But the chaos was getting worse in Syzygy, so much so that she had to keep voice messages very brief so as not to be detected and tracked by enemies and use written messages through the tenuous web connection they had built on Mars, when she was able. According to her knowledge, one fifth of the city’s inhabitants were already dead through escalated conflicts, guerilla fighting and bombings throughout the city. Many sentinels were dead. Many on all sides were dead. And she had no news about conditions in Ophir. My heart nearly shuddered to a halt in my chest as I realized the horrors that were unfolding on Mars. At some point I had to get out there with all the firepower and weaponry that Vartan could give me, Diamond and U-net and help her. But right now we had Earth to worry over. This was bad. Worse than I’d thought. I knew that I‘d get no rest for the remainder of the night. I was ready to get out there and fight. But first U-net needed to gather all the information it could and finalize a good battle strategy, and I needed to help my benefactress settle a score. After all, if it hadn’t been for her help and backing, I would either be in prison or my wife would be a widow. To start, I sent a message to a new and unlikely ally: Edwin C. Steward.